Although this is one of several Moe Berg stories, it’s not essential to read the others first. 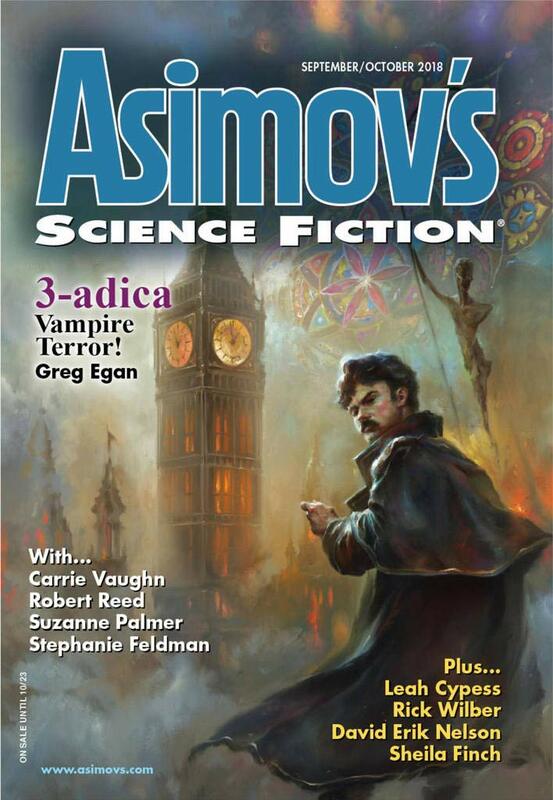 "The Secret City," by Rick Wilber [bio] (edited by Sheila Williams), appeared in Asimov's Science Fiction issue 09-10|18, published on August 16, 2018 by Penny Publications. Pro: There’s plenty of thrills, chills, and excitement, starting from the woman who tries to assassinate Fermi and on through Moe’s recollection of how hard it was to get Fermi out in the first place. Con: It ends on a cliff hanger. The whole multiverse thing is confusing and not explained (nor was it explained in any previous episode). All of the baseball scenes are long and dull.